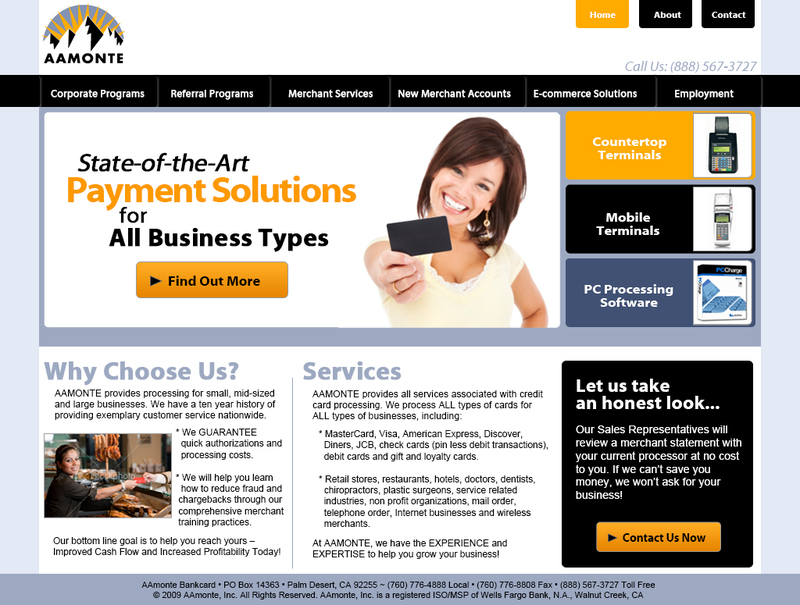 AAMonte is a credit card processing company for small, mid-sized and large businesses. They have a ten year history of providing exemplary customer service nationwide. They GUARANTEE quick authorizations and low processing costs. They are happy to help you learn how to reduce fraud and charge-backs through their comprehensive merchant training practices.